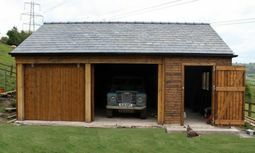 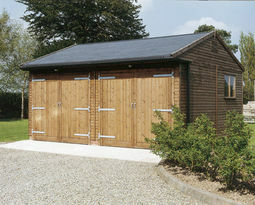 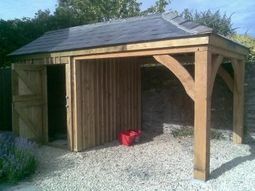 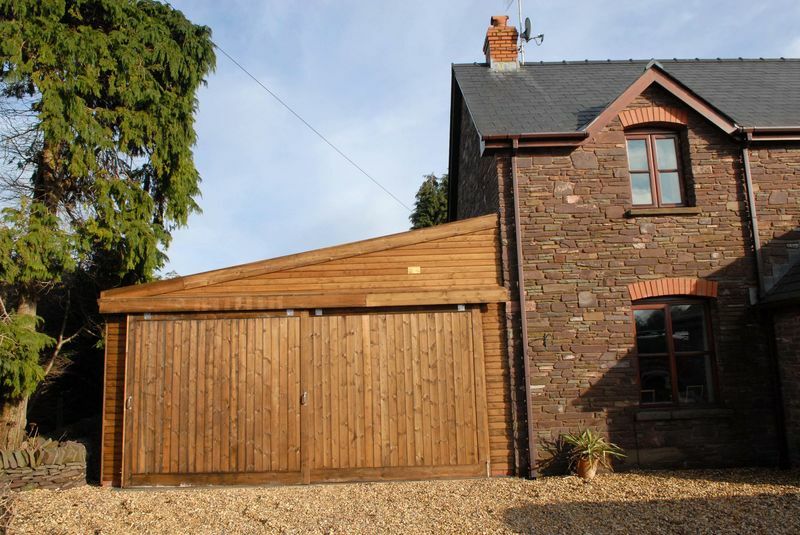 This lean to double garage has been attached to the existing stone walls of the cottage. 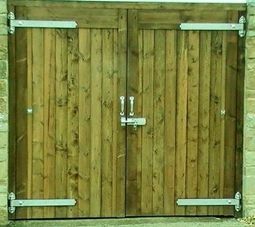 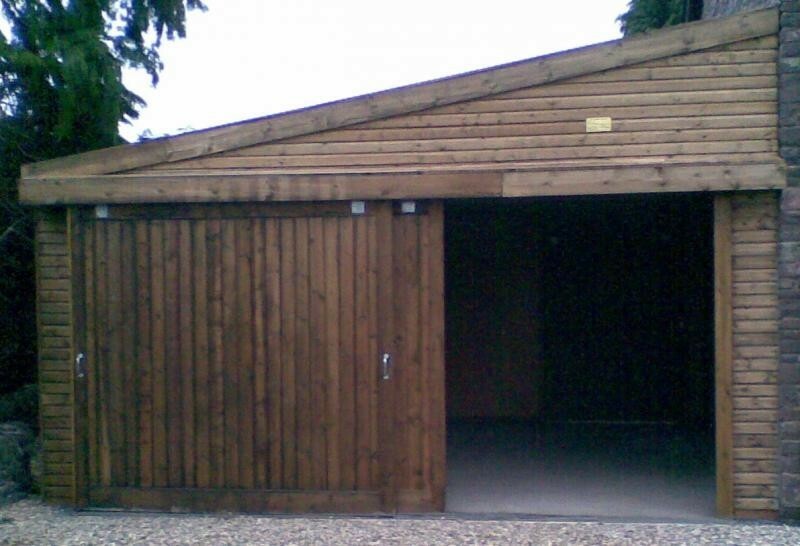 RJ Joinery Services Ltd have manufactured it with sliding doors that are installed onto double tracking to allow one door to slide behind the other, alleviating any safety issues of the wind blowing open or closed a door. 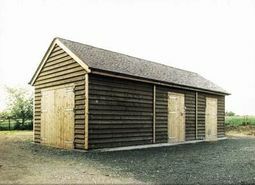 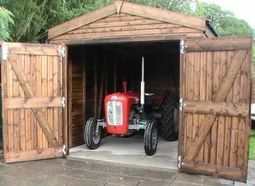 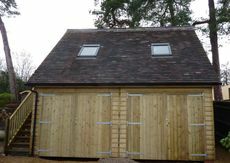 The garage is built using our 3" x 2" Studwork with V-Jointed Shiplap Cladding before being treated in our preserving tank. 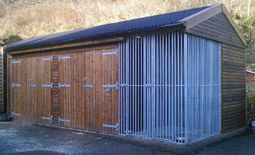 All sliding door gear and ironmongery used are heavy duty galvanized products, and the roof material is a black Onduline corrugated sheet.